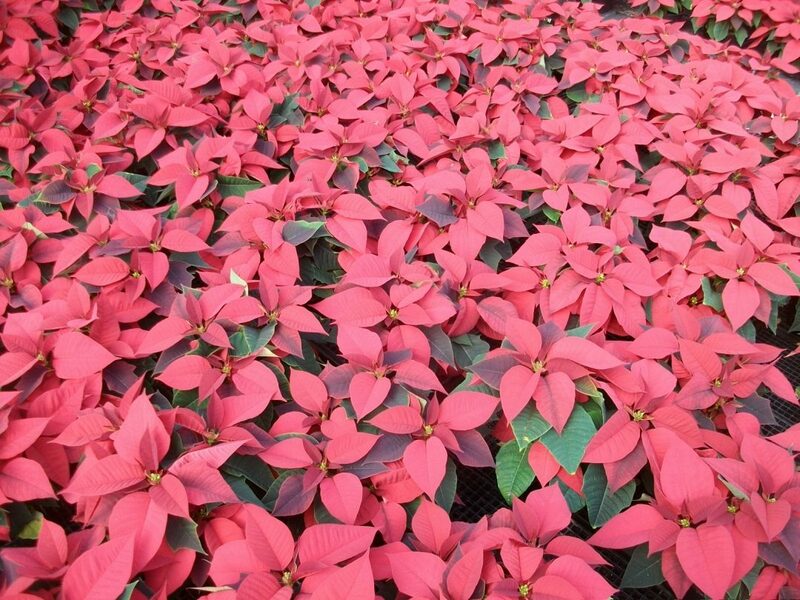 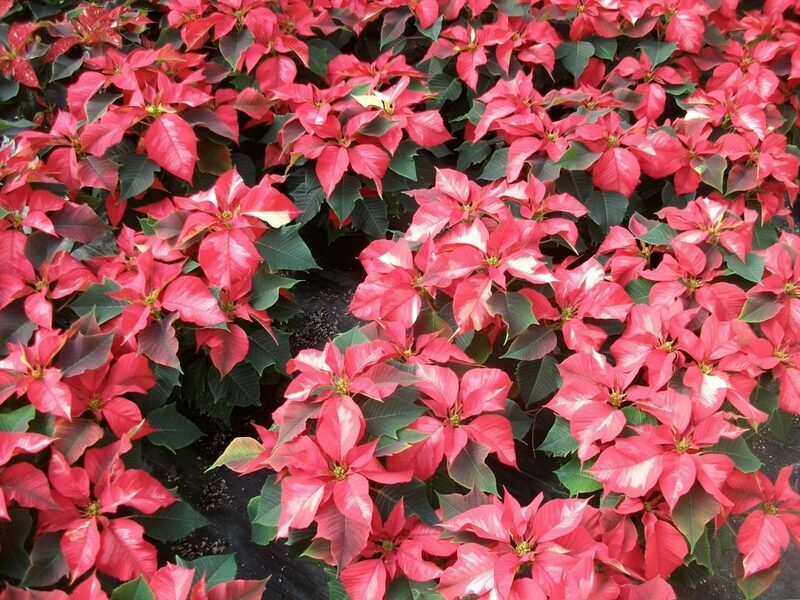 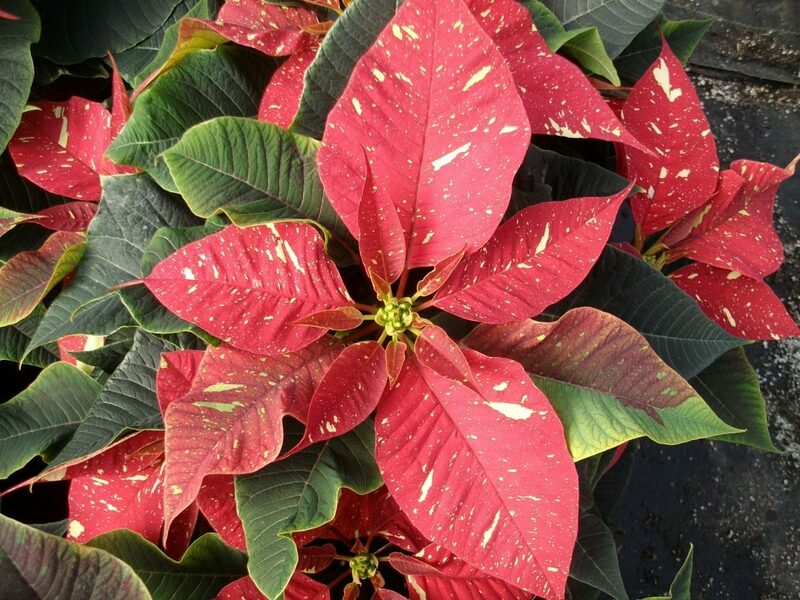 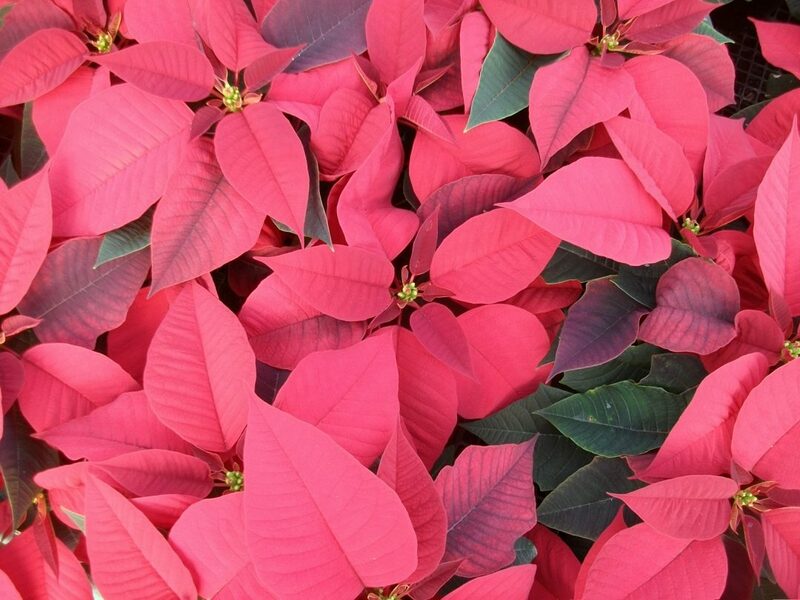 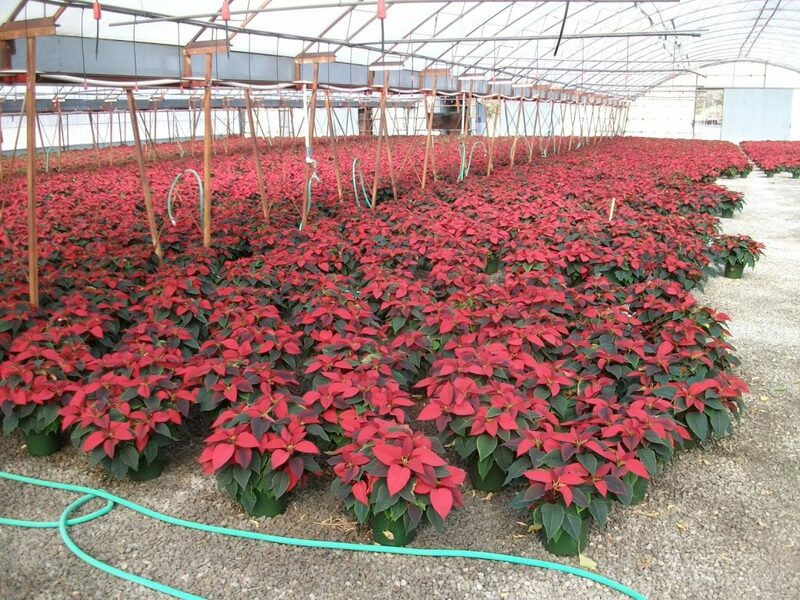 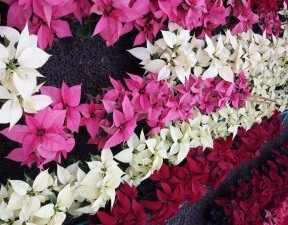 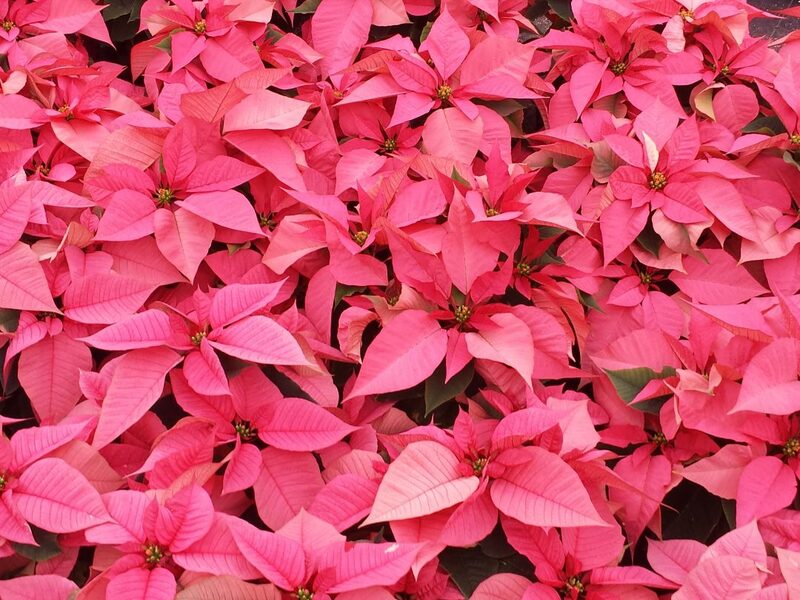 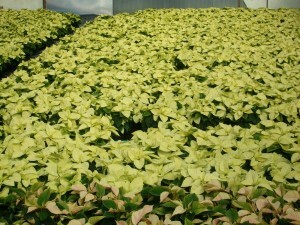 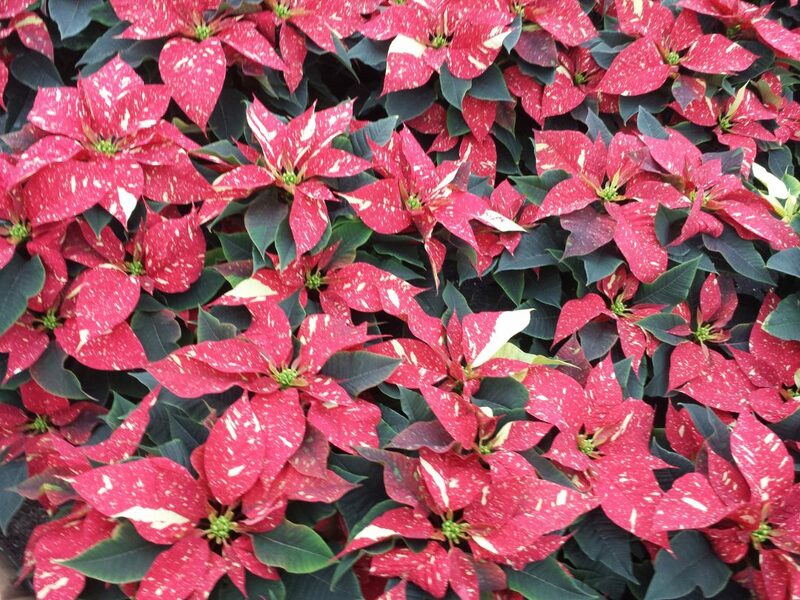 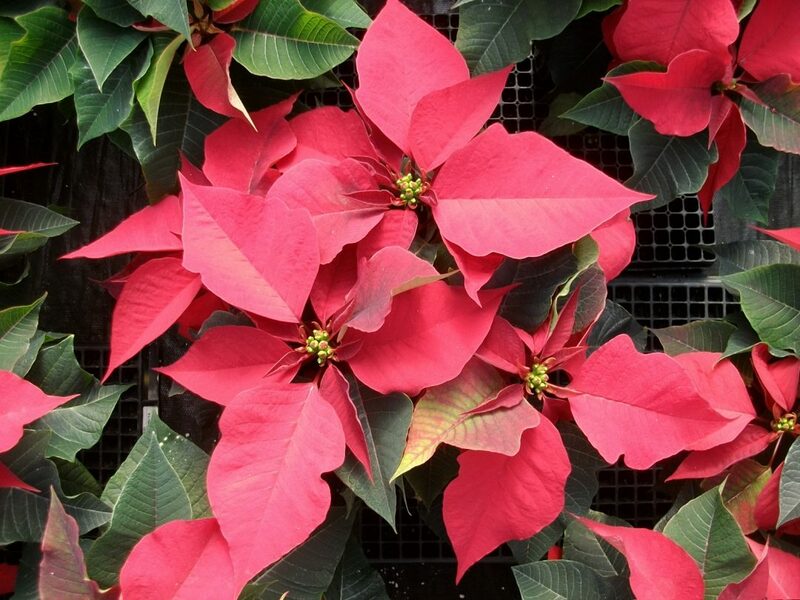 Every year I take pictures of our poinsettia crop to show here on our website so that you can see what our poinsettias look like each year. 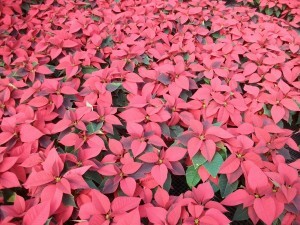 Some years are better than others but better or worse they are shown. 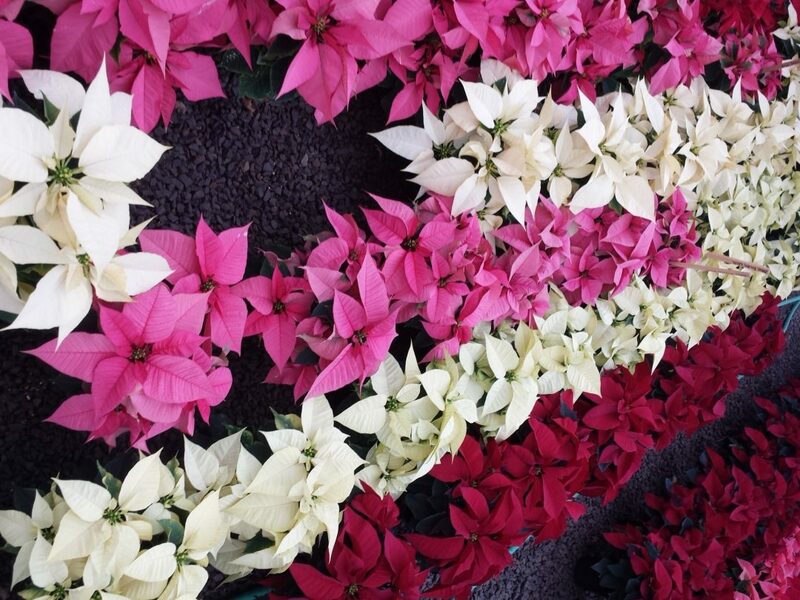 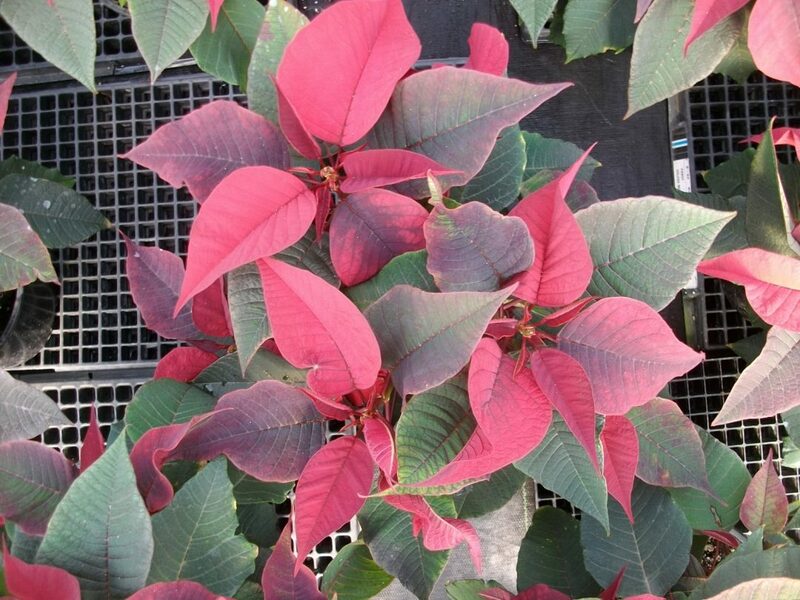 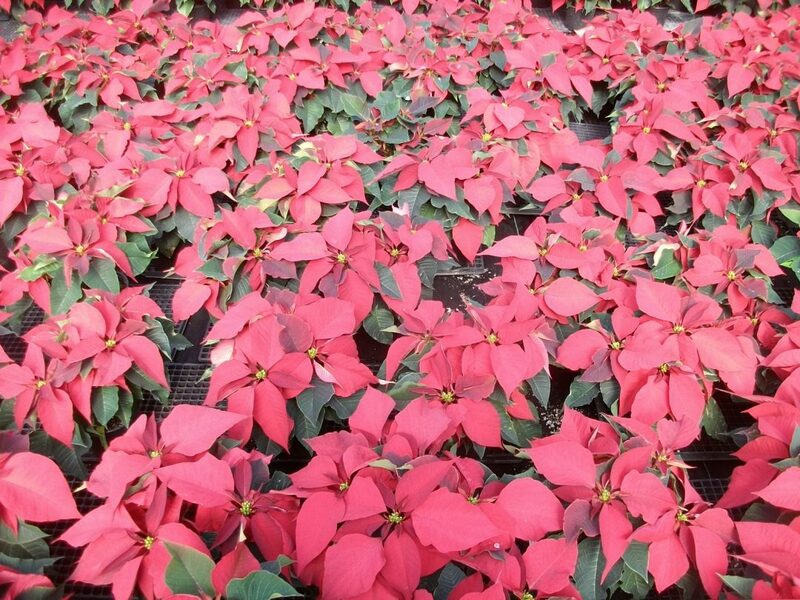 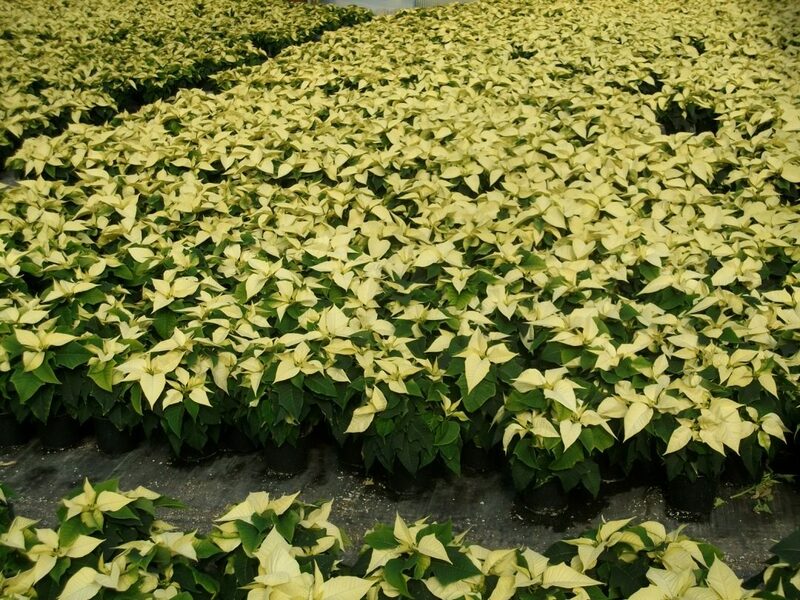 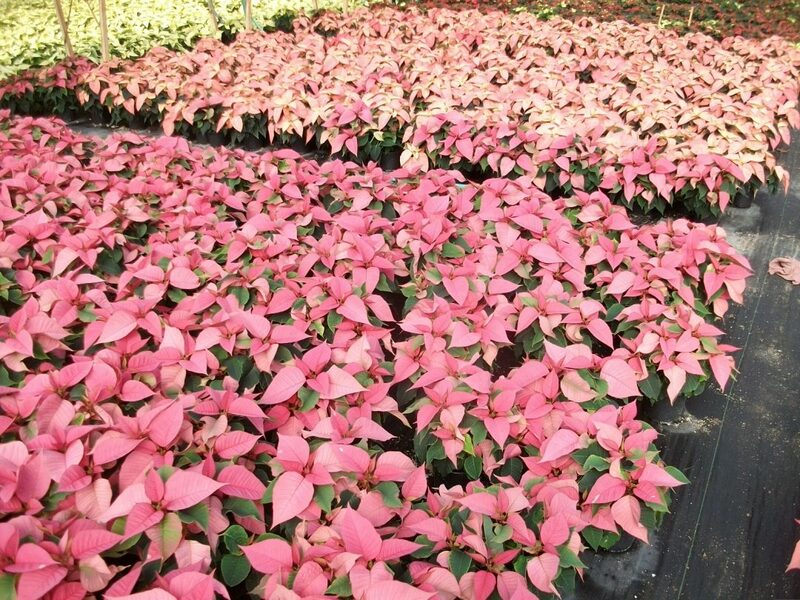 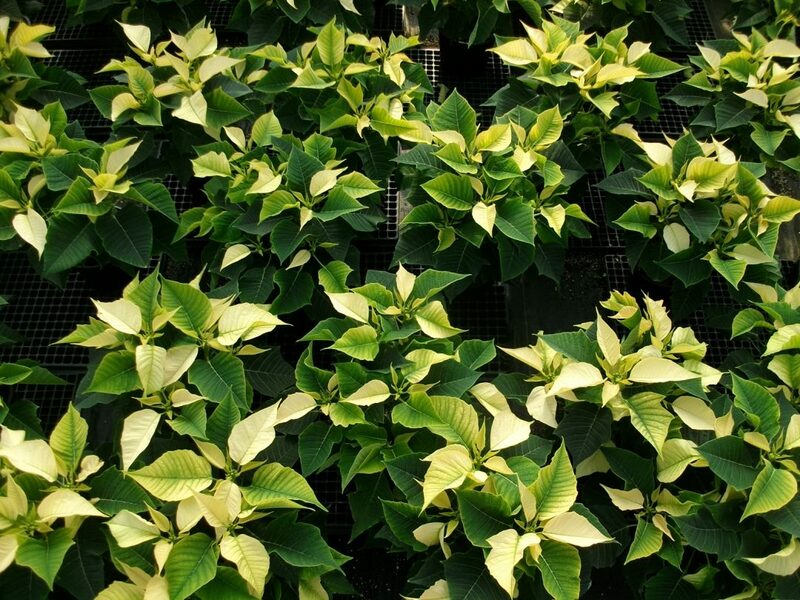 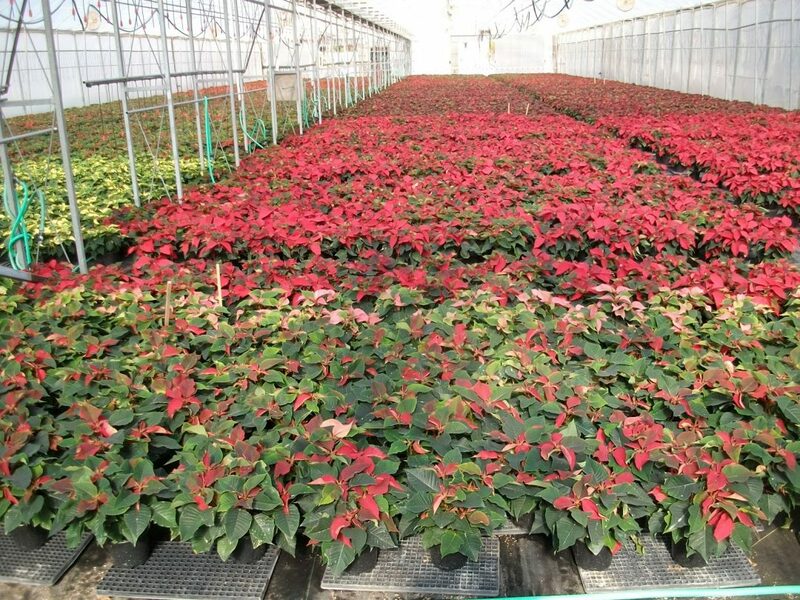 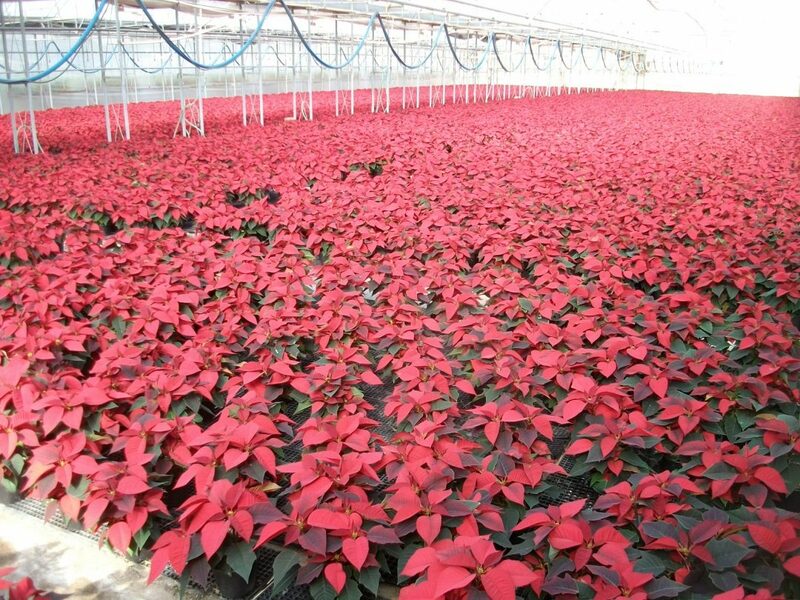 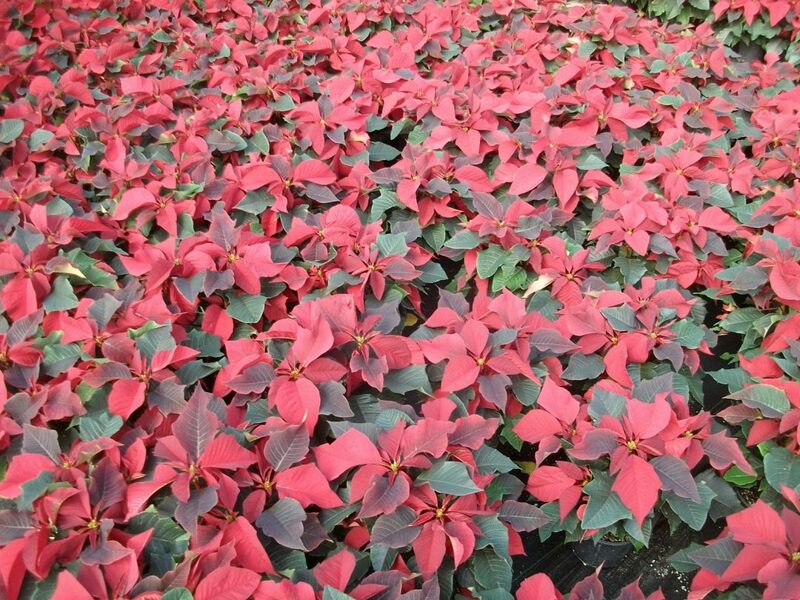 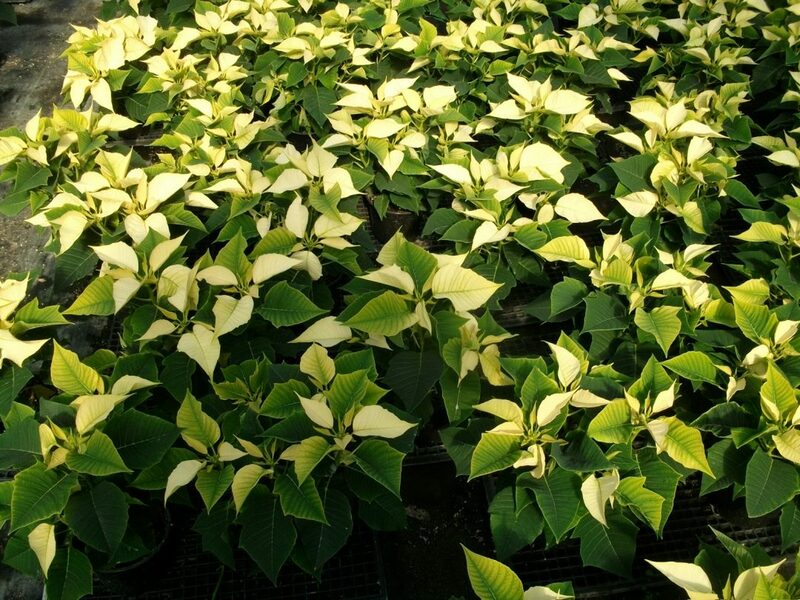 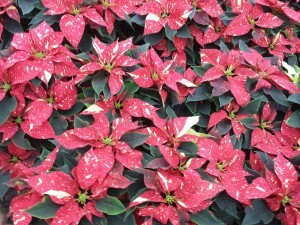 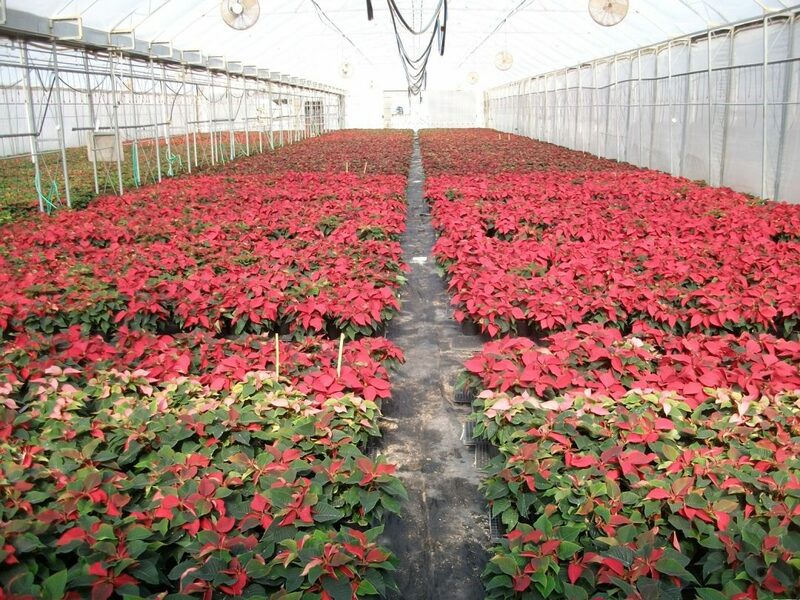 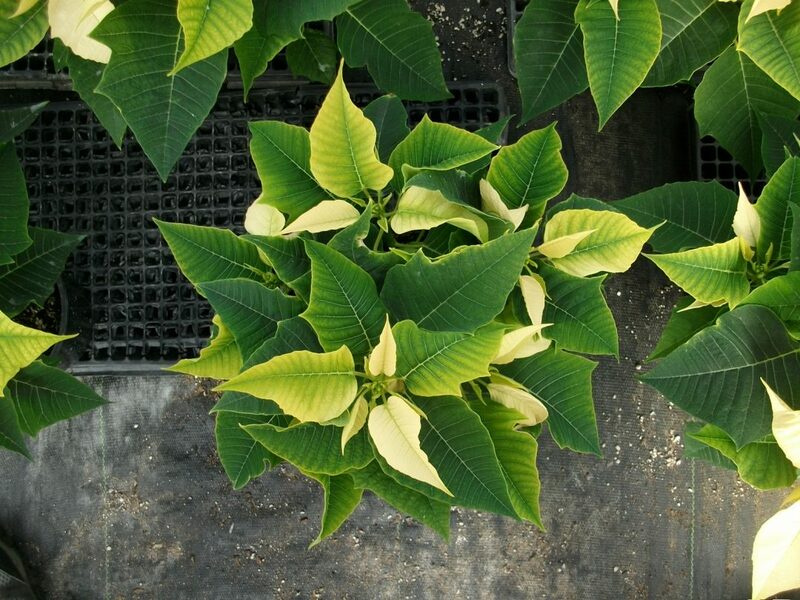 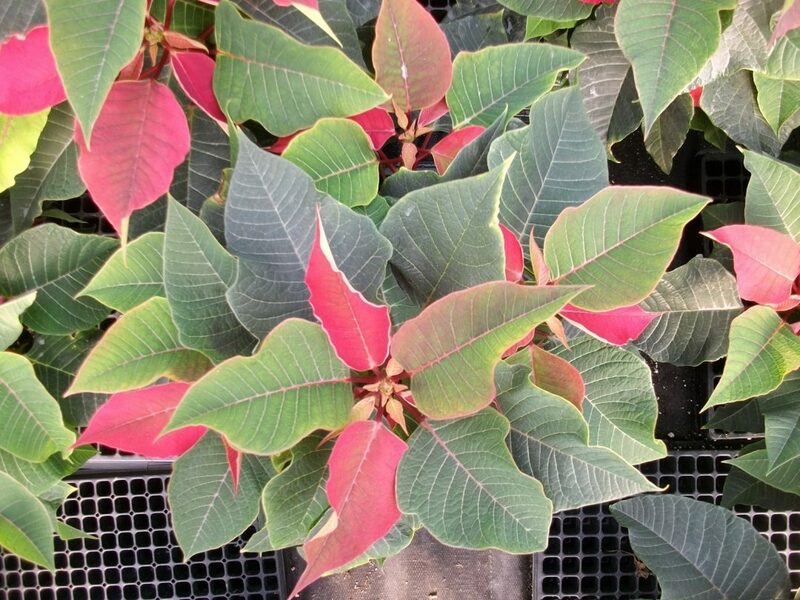 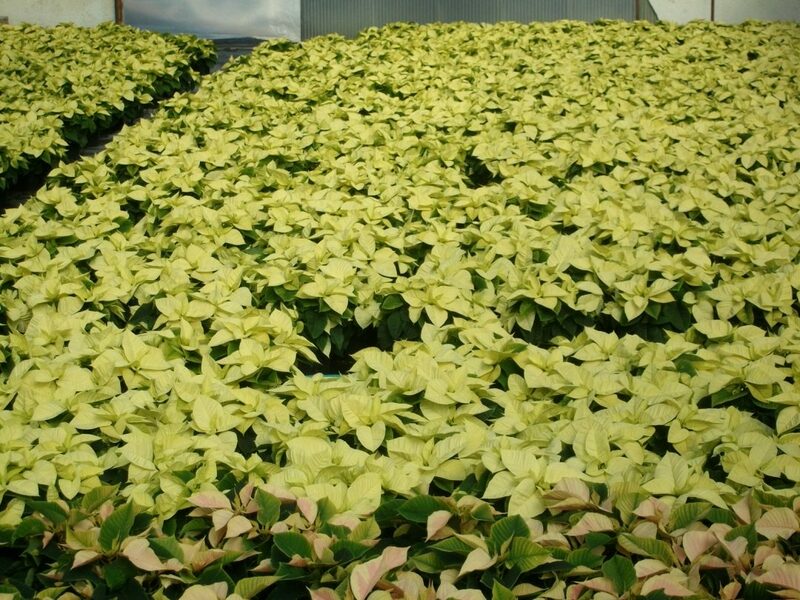 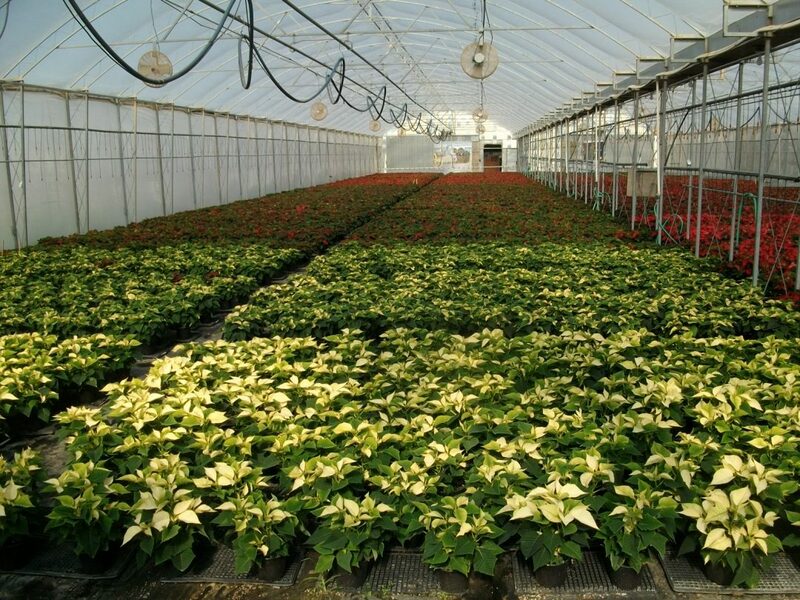 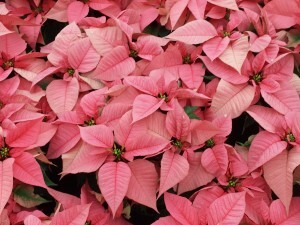 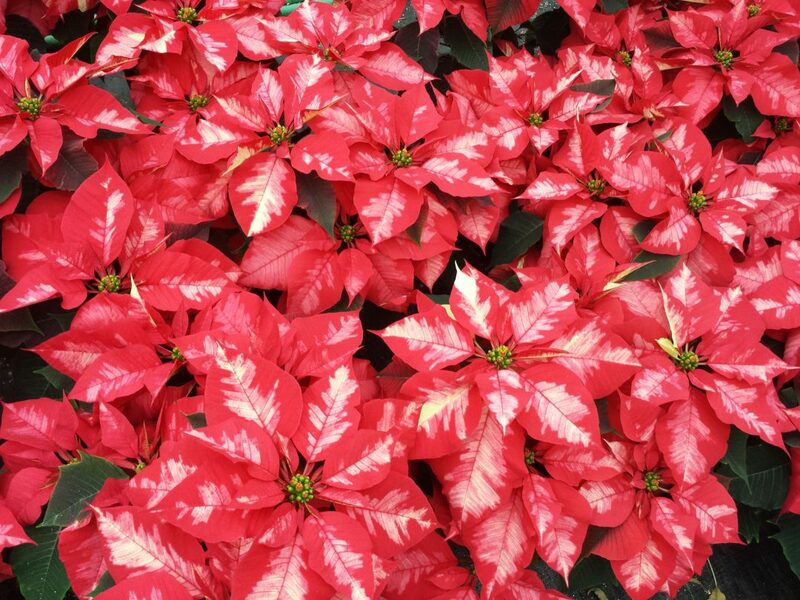 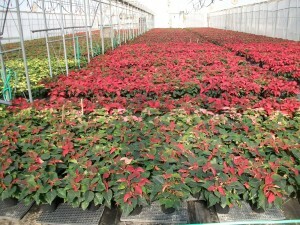 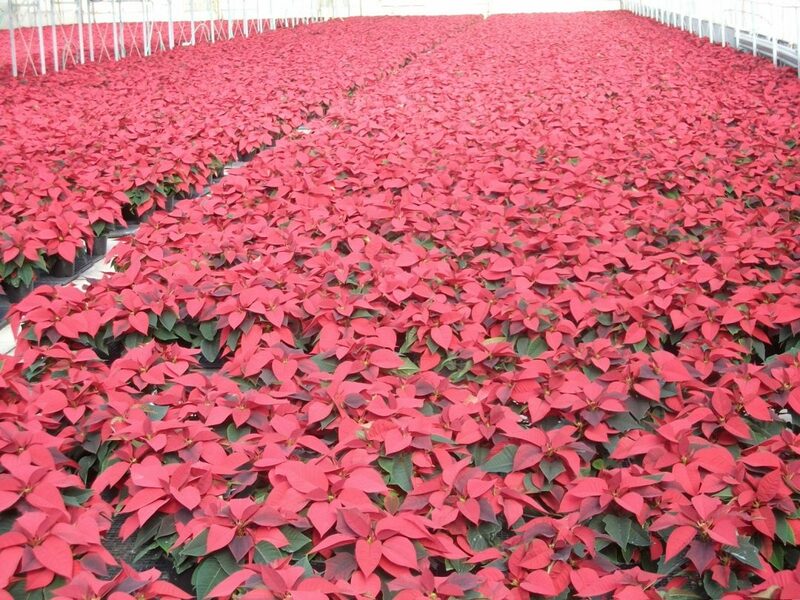 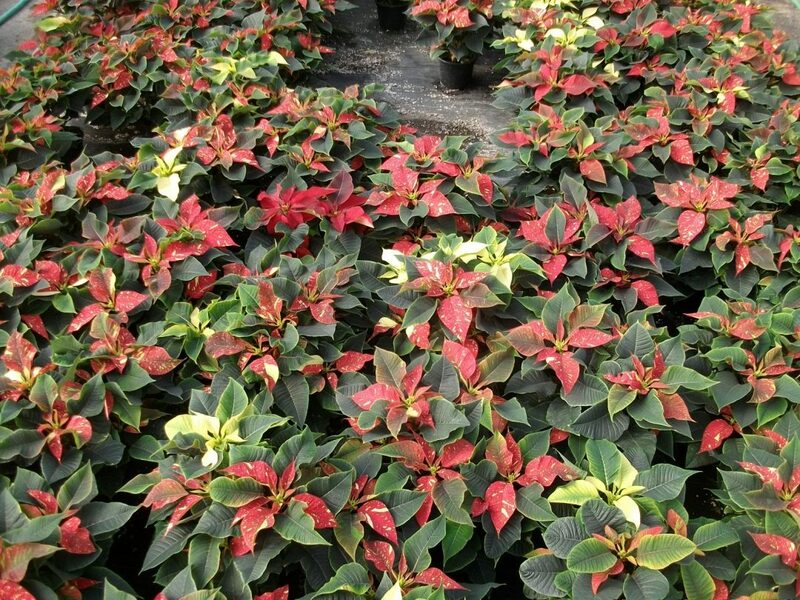 Here are some pictures from our 2014 crop of poinsettias. 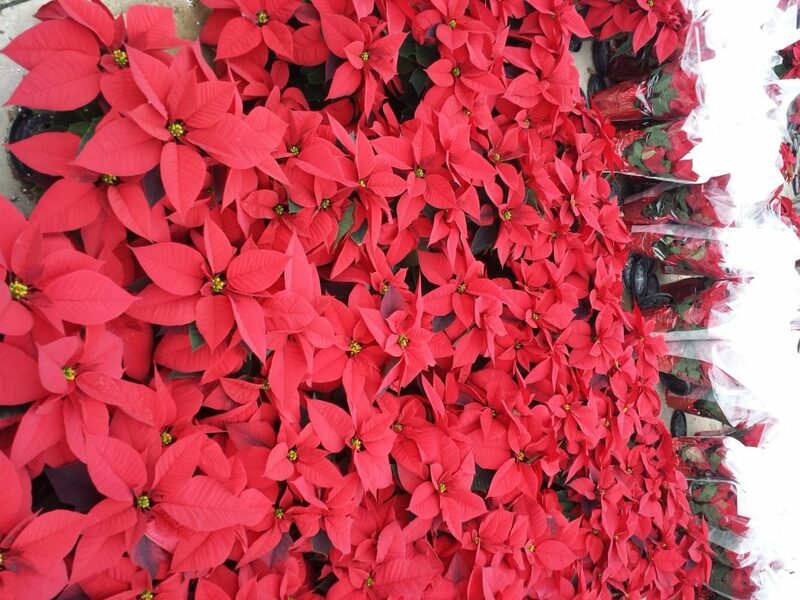 These pictures are from 11-10-14. 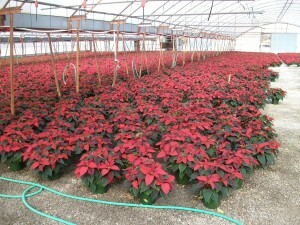 The crop was running a little behind schedule last year at this point. 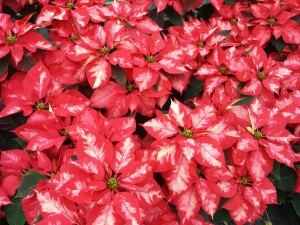 We should have had more color than this. These photos are from 11-20-14 and are mostly of our 6in crop. 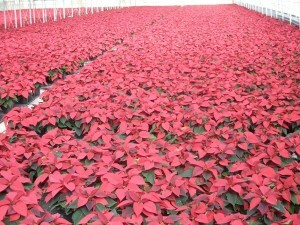 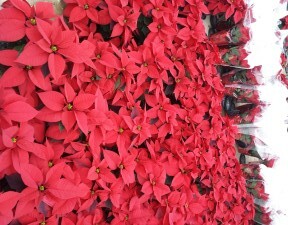 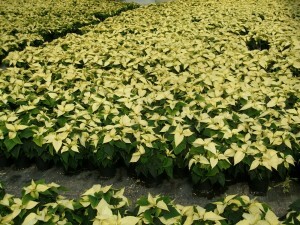 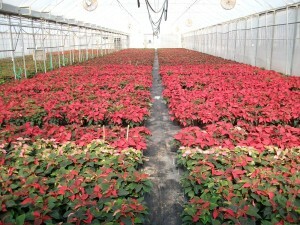 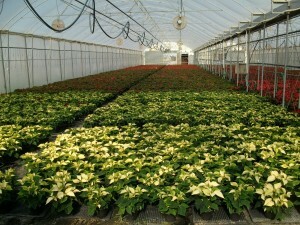 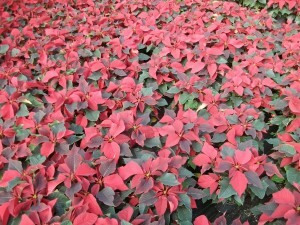 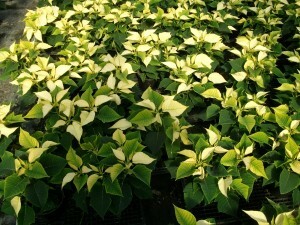 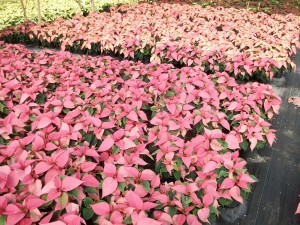 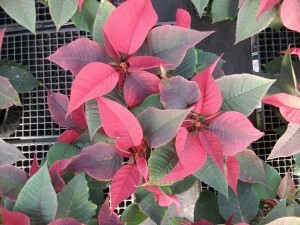 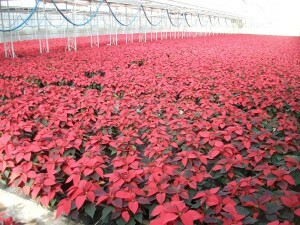 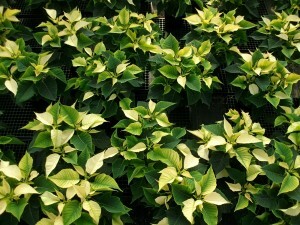 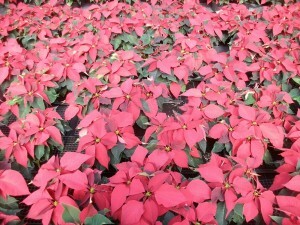 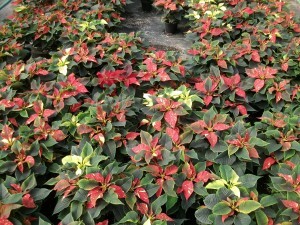 We did a small trial of Ice Punch poinsettias to see if the plants performed better than the last time we grew them. These last picture where taken thoughout the whole season.